The late 80’s and 90’s was a great time for Walt Disney Productions as it produced hits such as The Lion King, The Little Mermaid, Beauty and the Beast and Aladdin. With many films there are numerous fan theories that go along with each film but rarely are they proven to be true. Recently though one theory for Aladdin has been said to be true according to the directors. 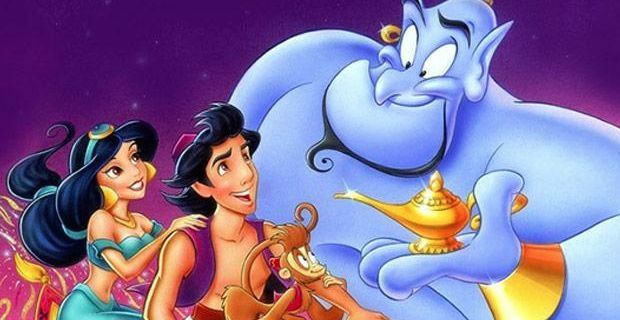 Released in the Fall of 1992, Aladdin made over $500 million USD in box offices worldwide. It received two Academy Awards for music in Best Original Score and Best Original Song. They are now releasing a “Diamond Edition” of Aladdin which will be on Blu-Ray and Digital HD. Some of the features on this edition are “The Genie Outtakes”, “Aladdin: Creating Broadway Magic” and “Ron and Jon: You Ain’t Never Had a Friend Like Me”. In honour of its release, directors John Musker and Ron Clements talked with E! News about the film, during which they confirm a fan theory. In the opening scene there is a peddler holding the lamp who has only 4 fingers, similar to the Genie, and both are voiced by the late Robin Williams, creating the theory that the peddler was the genie all along. Directors state that that this theory is true. During the interview they also revealed that the Disney film was originally set in Baghdad but before the release of the film, the “Gulf War happened” according to Musker. “So, I took letters and did a jumbled anagram and came up with Agrabah”. What are the best disney characters fancy dress costumes?